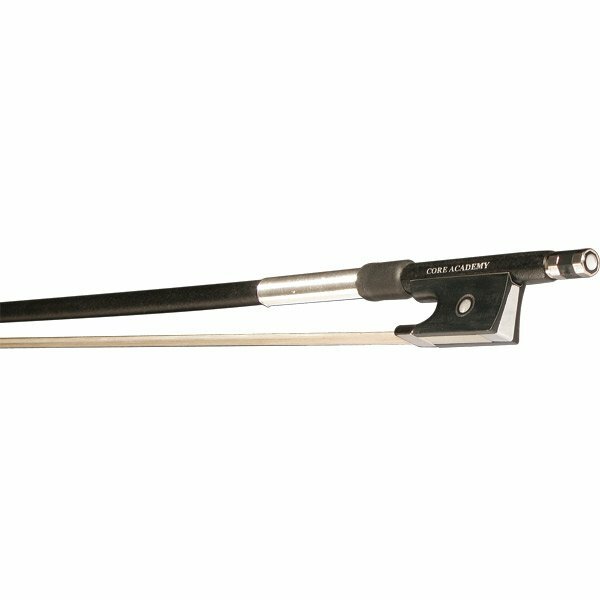 Glasser NY and Howard Core Company combined forces to introduce an exclusive line of student carbon fiber bows. These high quality, entry level priced bows feature a fully lined composite rog with Persian eye, three-part button with faux pearl eye, and slide. Well-crafted sticks with ultra-durable satin finish. Nickel-silver wire and imitation leather grip. This bow is covered with the Glasser Limited Lifetime Warranty and reconditioning program.